Our wonderful fifth graders are learning about lifeboats in science through our FOSS science program. To make it a little more lively I handed my students passes with a colored dot on them so that they knew which lifeboat to go to. This was there group they would work with that week. I also showed them a video to reinforce vocabulary such as capacity. 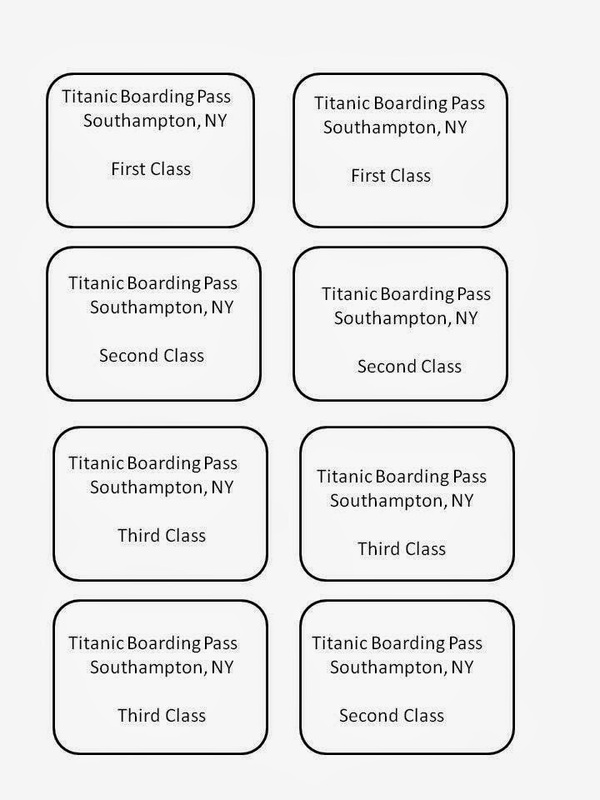 I also used a link I am sharing to provide extra information about the Titanic's lifeboats. We then created our control boat to check for capacity. Just making it real. We had a few minutes at the end to make another boat out of aluminum foil. I gave each lifeboat the same size piece of foil and asked them to design a boat that could hold the most passengers. We shall see who's design is more buoyant. Here is the video I used. The kids were shocked to see that the lifeboats weren't filled to capacity. Here is link to the facts I used. 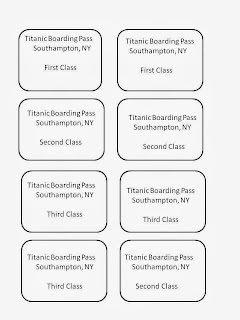 And let's not forget the boarding passes.